Women's Diamond Pendant Necklace In 14k White Gold, .50 Ct. T.w. Diamond Pendant Necklace In 14k White Gold, .35 Ct. T.w. 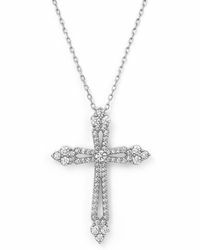 Diamond Cross Pendant Necklace In 14k White Gold, .75 Ct. T.w. Diamond Circle Pendant Necklace In 14 Kt. White Gold, 0.65 Ct. T.w. Diamond Starburst Pendant Necklace In 14k White Gold, .55 Ct. T.w. Diamond Cross Pendant Necklace In 14k White Gold, 1.0 Ct. T.w. Diamond Halo Pendant Necklace In 14k White Gold, .35 Ct. T.w. Diamond Circle Pendant Necklace In 14k White Gold, .30 Ct. T.w. Blue Sapphire And Diamond Pendant Necklace In 14k White Gold, 17"
Diamond Bar Necklace In 14k White Gold, .25 Ct. T.w. 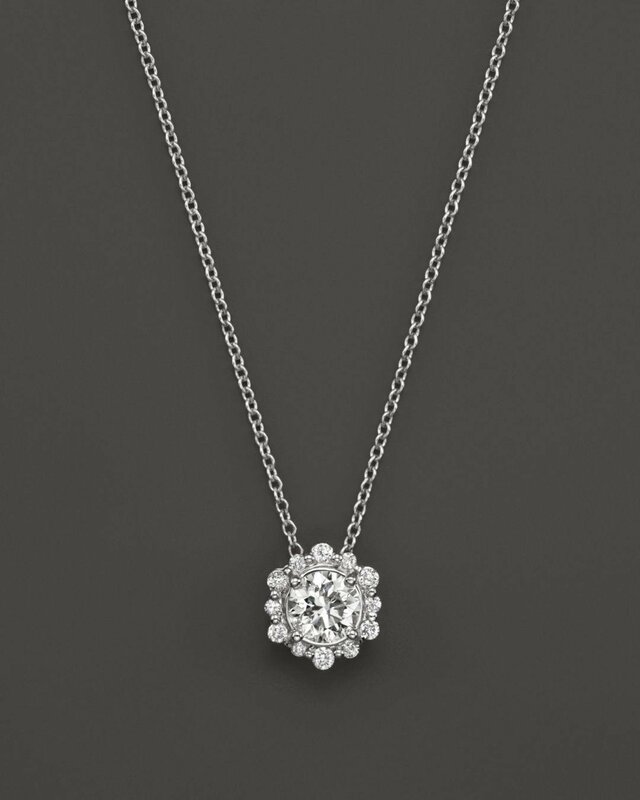 Diamond Cluster Pendant Necklace In 14k White Gold, .50 Ct. T.w. 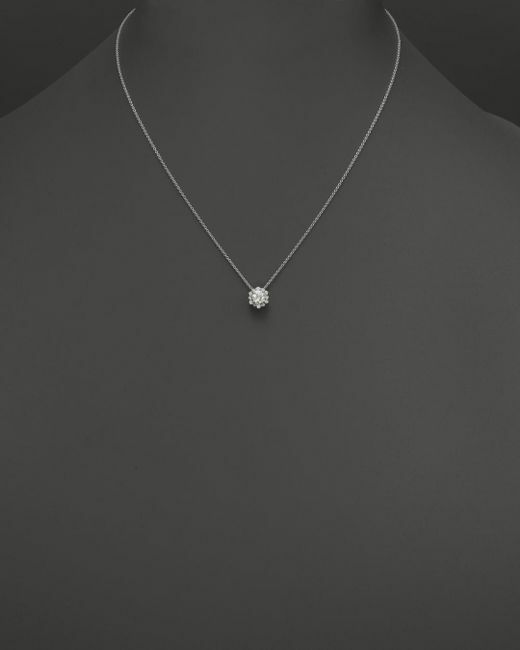 Diamond Graduated Pendant Necklace In 14k White Gold, .70 Ct. T.w. Diamond Solitaire Pendant Necklace In 14k White Gold, .30 Ct. T.w. Blue Sapphire And Diamond Pendant Necklace In 14k White Gold, 18"
Diamond Trio Pendant Necklace In 14k White Gold, .30 Ct. T.w. Diamond Heart Pendant Necklace In 14k White Gold, 1.0 Ct. T.w. Diamond Cluster Pendant Necklace In 14k White Gold .60 Ct. T.w. Diamond Heart Pendant Necklace In 14k White Gold, .25 Ct.t.w. Diamond Anchor Pendant Necklace In 14k White Gold, .25 Ct. T.w. Blue Sapphire And Diamond Pendant Necklace In 14k White Gold, 16"
Diamond Palm Tree Pendant Necklace In 14k White Gold, .25 Ct. T.w. 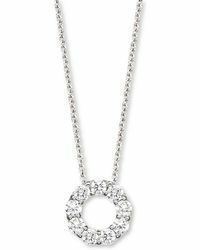 Diamond Open Circle Pendant Necklace In 14k White Gold, 4.0 Ct. T.w. Diamond Halo And Blue Sapphire Pendant Necklace In 14k White Gold, 16"
Diamond Halo And Pear Emerald Pendant Necklace In 14k White Gold, 16"
Diamond Teardrop Pendant Necklace In 14k White Gold, .20 Ct. T.w. Diamond And Blue Sapphire Cross Pendant Necklace In 14k White Gold, 18"
Diamond Baguette Bar Necklace In 14k White Gold, .50 Ct. T.w. Emerald And Diamond Halo Pendant Necklace In 14k White Gold, 16"
Diamond And Baguette Hamsa Pendant Necklace In 14k White Gold, .55 Ct. T.w. Garnet And Diamond Heart Pendant Necklace In 14k White Gold, 16"
Diamond Pendant Satellite Chain Necklace In 14k Rose And White Gold, .75 Ct. T.w. 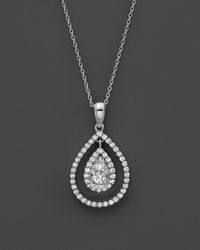 Diamond Graduated Teardrop Pendant Necklace In 14k White Gold, .90 Ct. T.w. Diamond Cluster Round Bezel Pendant Necklace In 14k White Gold, .30 Ct. T.w. Blue Topaz And Diamond Pendant Necklace In 14k White Gold, 16"
Diamond Solitaire Pendant Necklace In 18k White Gold, 1.0 Ct. T.w. Blue Sapphire And Diamond Halo Pendant Necklace In 14k White Gold, 18"
Diamond Cross Y Necklace In 14k White Gold, .35 Ct. T.w. Sapphire And Diamond Pendant Necklace In 14k White Gold, 16"
Black And White Diamond Pendant Necklace In 14k White Gold, 17"
Emerald And Diamond Pendant Necklace In 14k White Gold, 16"
Diamond Cross Pendant Necklace In 14k White Gold, 2.50 Ct. T.w. Diamond Cross Pendant Necklace In 14k Rose Gold, .50 Ct. T.w. Diamond Round And Baguette Cluster Pendant Necklace In 14k White Gold, .30 Ct. T.w. Morganite And Diamond Pendant Necklace In 14k Rose Gold, 18"
Diamond Y Necklace In 14k White Gold, 2.0 Ct. T.w. Diamond Clover Pendant Necklace In 14k Rose And White Gold, .10 Ct. T.w. Diamond Cross Pendant Necklace In 14k White Gold, .60 Ct. T.w. Diamond Clover Pendant Necklace In 14k White Gold, .75 Ct. T.w. Diamond Cross Pendant Necklace In 14k White Gold, .30 Ct. T.w. Diamond Cross Pendant Necklace In 14k White Gold, 1.50 Ct. T.w. Diamond Graduated Bezel Necklace In 14k White Gold, .25 Ct. T.w. Diamond Pendant Necklace In 14k White Gold, .55 Ct. T.w. Diamond Station Necklace In 14k White Gold, .30 Ct. T.w.